Harry Bridges was born in 1901 in Australia. He came to the United States as a teenage sailor in the early 1920’s. He traveled the United States coasts on various ships and eventually settled in San Francisco where he became a longshoreman. He worked with teams of men offloading the steel that was eventually used to build some of the famed bridges in San Francisco. By the early 1930s, working conditions at the ports were difficult for longshoremen given a weak and corrupt union structure. As the Great Depression took root, the men on waterfront began clamoring for better working conditions and pay. Owing to his progressive labor background learned as a youngster in Australia, Harry Bridges started speaking loudly and publicly for better conditions and a stronger union. Although not in any union position of power, his voice resonated with other longshoremen, and pretty quickly a group of men coalesced around Bridges’ uncompromising demands for better conditions and pay. When sell-out deals were put on the table Bridges demanded a strike, despite the union powers that rejected a strike. Nonetheless, the men on the docks followed him and eventually he triggered the then-largest West Coast strike, which shut down the west coast ports for 83 days. During the strike, police fire don the protesting longshoremen and in battles that raged on San Francisco’s streets and at the Embarcadero, several protesters were killed in what became known as Bloody Thursday. Eventually, with federal help, the strike ended and a real union was born, and Bridges became a prominent leader of the new union. In time, those who opposed his progressive unionist views started a campaign to have him deported, on the ground that he was allegedly a member of the Communist Party. Harry Bridges then spent 20 years in four deportation trials as he fought to remain in the United States while also leading the union. His case went to the United States Supreme Court twice. 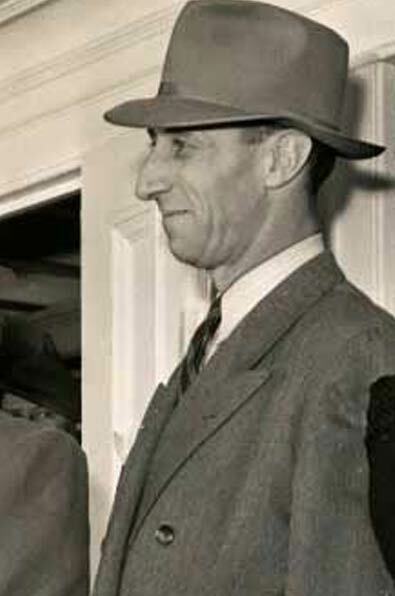 Harry Bridges remained a leader of the Union until he retired in his 70s, and he died in 1990 in San Francisco still active in political and social issues.